8 hours of continuously drinking last night had the consequence of a Sunday with a less than optimal productivity. Long story short: I've been watching TV, which is something I almost never do. The last commercial block I watched was more than interesting; there were 4 car commercials! One for an Opel Zafira, which is to be expected. Sensible family vehicle by a reputable brand. It were the other 3 commercials I was surprised about. All three were by brands that, on this market, have been completely unable to match the competition. Especially in the last 15 years. Brands that sell very few cars nowadays, you can drive for hours without seeing a <3 year old vehicle by one of these brands. 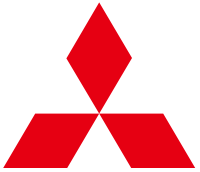 There was a Civic commercial, a commercial for a Mitsubishi Outlander (plug in hybrid SUV) and a commercial for another Mitsubishi vehicle I didn't even recognize and I don't remember the name of. The latter two commercials weren't very professional looking, besides advertising hideously ugly vehicles. Edit; next block, more Mitsubishi. Now for the ASX. Anyway, this got me thinking. Are the marginalized Japanese brands planning a comeback in Europe? Do they want their 80s glorydays to return? I didn't read anything about such a campaign. Anyone?